The war industries associated with World War II brought unparalleled employment opportunities for African Americans in San Francisco, a city whose African American population grew by over 650% between 1940 and 1945. With this population increase came an increase in racial discrimination directed at African Americans, primarily in the employment and housing sectors. 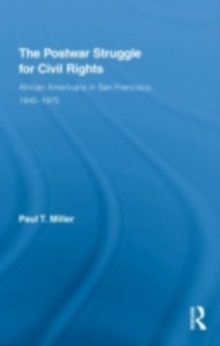 In San Francisco, most African Americans were effectively barred from renting or buying homes in all but a few neighborhoods and, except for the well-educated and lucky, employment opportunities were open in near-entry levels for white-collar positions or in unskilled and semi-skilled blue-collar positions. As San Francisco's African American population expanded, civil rights groups formed coalitions to picket and protest, thereby effectively expanding job opportunities and opening the housing market for African American San Franciscans. 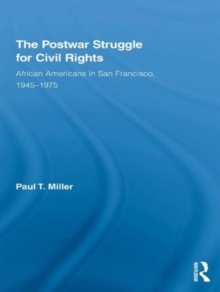 This book describes and explains some of the obstacles and triumphs faced and achieved in areas such as housing, employment, education and civil rights. 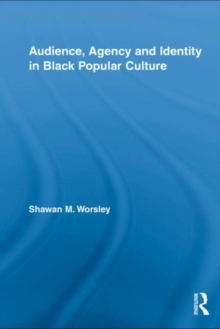 It reaches across disciplines from African American studies and history into urban studies and sociology.